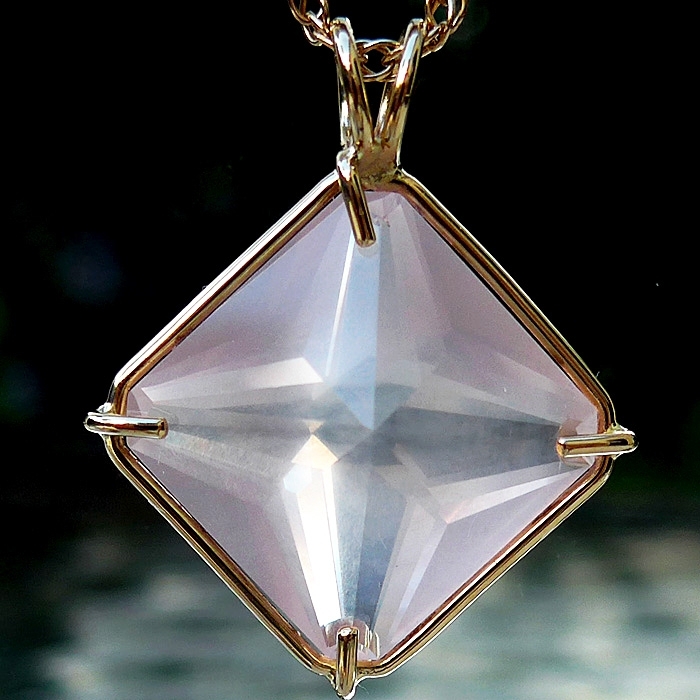 This incredibly clear Vogel style cut large Magician Stone Rose Quartz crystal pendant is so beautiful! It is of exceptional quality, both in the cut of the stone and in the simple 14 kt. gold band setting which allows the stone to breath and function at its highest vibration. This pendant comes with a simple YGF chain which will sit upon the thymus, between the throat and the heart chakras, where it will be of most beneficial resonance. 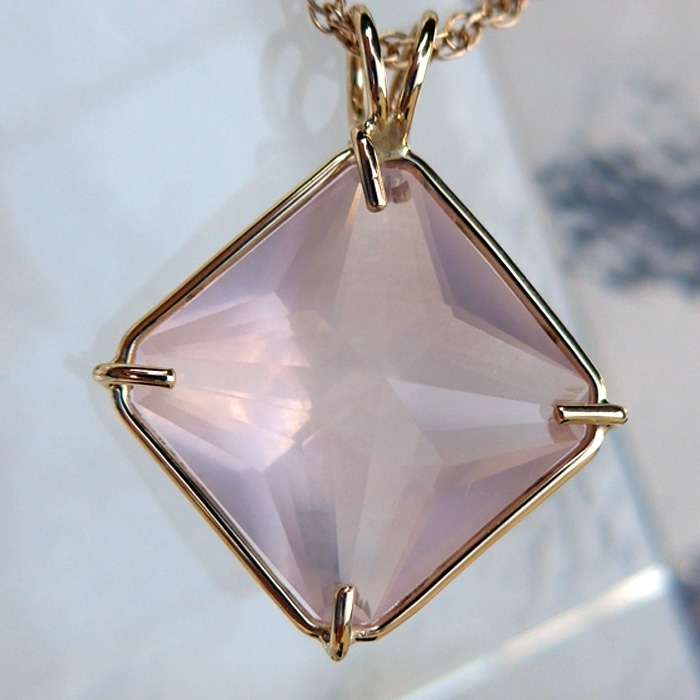 Rose quartz projects a soft, soothing, gentle energy that resonates with vibrations of love, and is especially supportive in cases where an individual is developing the capacity for self love.It sends out an energy of unconditional love, as compared with passionate love, so the energy of rose quartz resonates with the heart chakra rather than the lower chakras. Note: weight above is shipping weight. Actual weight is .25 oz.